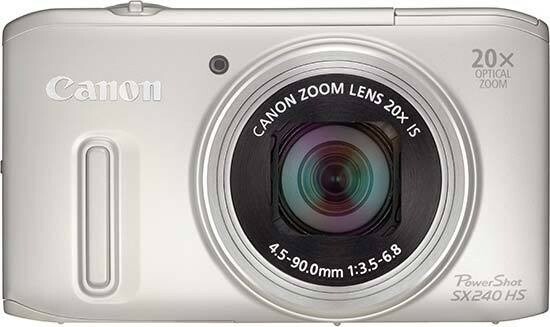 Reviews of the Canon PowerShot SX240 HS from around the web. The Canon PowerShot SX240 HS and SX260 HS are Canon's 2012 pocket super-zoom replacements for the PowerShot SX230 HS. The headline feature with pocket super-zooms is obviously the optical range and Canon has extended the reach of the PowerShot SX240 HS and SX260 HS to 20x with a new lens that's equivalent to 25-500mm. That puts them on a equal footing with Panasonic's market leading Lumix ZS20 / TZ30 and Sony's HX20V / HX30V.